At Coastal Disposal, we treat every client attentively. Take advantage of our affordable flat rates and 10+ years of experience. Our team is ready to get to work for you. Coastal Disposal has every size of dumpster you could possibly need. 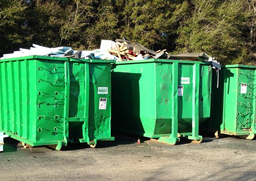 Whatever the job is—from a small garbage cleanup to a complete house teardown—you can rely on Coastal Disposal for dumpster rental. Rentals for up to 30 days are available. 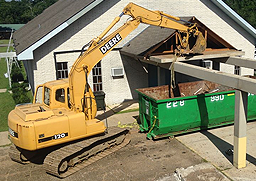 Rely on our experienced team to demolish unwanted concrete slabs, houses, or any other structure. Using excavators, bulldozers, and skid steers, we will have the job completed on time. Call today for an estimate.